HWG Cash is a fiat-pegged cash token. Approved and supervised under the Labuan Financial Services Authority, HWG Cash is the first licensed cash token in Asia, the only stable and secure token amongst cryptocurrencies. Each HWG Cash token issued in circulation is pegged to the equivalent amount of US dollar currency to safeguard its stability. HWG Cash can be used by consumers and businesses via the company’s new payment app HwgPay, now available for download from the Google Play Store and Apple App Store for Android and iOS devices respectively. On the other hand, HwgPay is a digital asset wallet that can be used to store, send, receive and make payment using digital assets and cash tokens such as Bitcoin, Ethereum and HWG Cash - HwgPay and HWG Cash complements each other. Converting fiat currency to HWG Cash Tokens is a simple and straightforward process. Users first need to deposit their fiat currency to a designated HWGG Capital P.L.C’s account to be converted to HWG Cash Tokens. 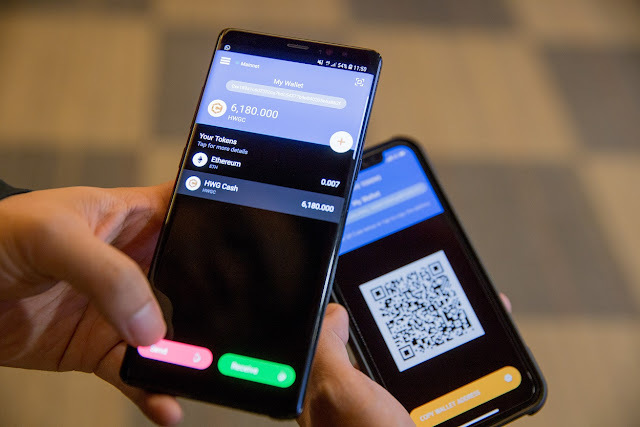 The tokens can be used to digital asset payments and transactions via the HwgPay app - for example, to purchase cryptocurrencies such as Bitcoin,Ethereum etc. Likewise, the tokens can also be reverted back to cash via the same platform. HWGG Capital P.L.C is officially licensed under the Labuan Financial Services Authority as a payment operator, credit token business and money broker for digital assets. 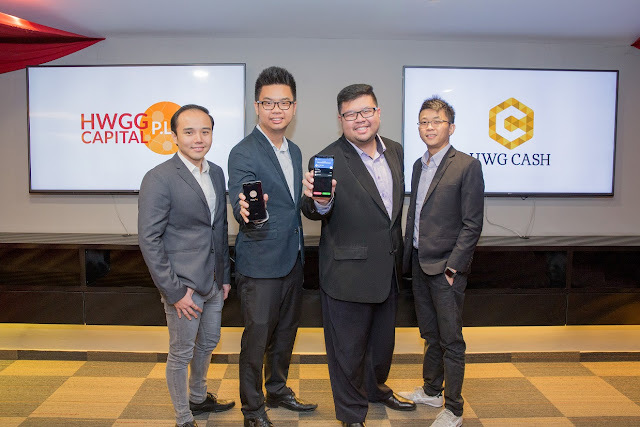 Gavin Lim, Chief Executive Officer of HWGG Capital P.L.C., commented that HwgCash targets the mass market. Yoshikazu Nishimura, Chief Technical Officer of HWGG Capital P.L.C., commented that digital tokens are under utilized. HWG Cash tokens use everiToken public chain technology as its core due to its security, speed, and ease of use. A platform for fiat-to-cryptocurrency purchase and vice versa, regulated by Labuan Financial Services Authority. Authority regulation of a digital asset is important to protect consumer's interest - the authority is accountable for monetary fraud and breach of trust. Although the token is pegged to the USD, it caters an avenue to carry, transfer and store USD in a non conventional way. One practical use case I can think of is that the offering is suitable for travelers to carry USD cross-border without the hassle of physical cash.